Please find below our recently registered library books. Due to donations we have now a substantial amount and wide array of books for sale, this is happening in instalments during lectures. As a reminder, library is free for all members, maximum 5 books per member at one time, with no time limit, so you have all the time you need to finish that book. With any enquiry please contact mcgkllibrarian@gmail.com. MCG has a unique collection of books in its library. 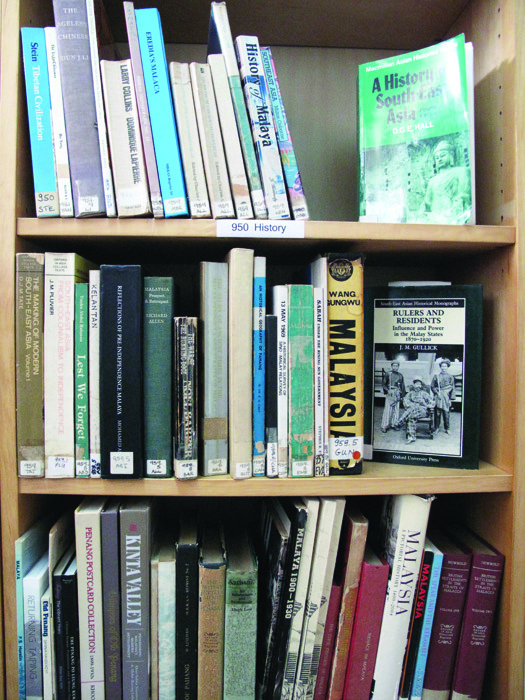 There are over 1000 books on a variety of topics related to Malaysia and SE Asia. The collection includes non-fiction and fiction books and journals on a wide variety of topics covering culture, art, history and religion. All members are free to borrow books from the library. The library is located at the Meritz condominium, the same location as our regular lectures on floor 7. Library hours coincide with lecture dates. The library is also open before and after other MCG events at the Meritz. Books may be returned to the guards at the front desk of the Meritz at any time, not just when the library is open. The latest library catalogue is available here. We welcome donations of books, and offers of help with running the library.